The SU Woordfees 2017 welcomed Grace Musila and Chris Marnewick to talk about their books and the element of documenting truth through fiction. Hedley Twidle provoked a discussion on the inspiration behind the texts as well as the writers’ take on the place of truth(s) and fiction in art. From both Musila and Marnewick, one gets the feeling that enormous research was involved in the creation of their texts. Both writers intimated the value of in-depth interrogation of the real-life murders that inspire their books. 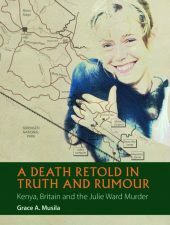 Musila’s A Death Retold in Truth and Rumour: Kenya, Britain and the Julie Ward Murder is an extensive examination of the official and non-official rumours and reports about Julie Ward’s murder. In Marnewick’s novel Shepherds and Butchers, interviews and archival research informed the narrative plot. Though Musila’s text is read as a literary documentary and Marnewick’s, creative non-fiction, the texts speak to each other in the sense that both focus on murders that took place. Their styles are easy on the reader and their concerns underpinned by the painstaking reality of the world we live in, where moral consciousness needs revising. The conversation opened the audience to the affective nature of the authors’ works. 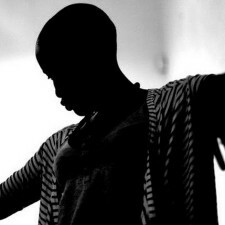 The process of writing about murders (real), whether one has a direct or indirect connection to the family of the dead, to some extent weighs on the writer. Further, researching on murders draws complex under-layers that Marnewick and Musila trace in their work revealing the multiple variance of thought and truth(s). Musila’s A Death Retold in Truth and Rumours traces the multiple versions of truth(s) peddled by the state vis a vis the accompanying narratives concocted by the public in a bid to understand the occurrence. In her own words, the narratives were left to speak their own truth rather than she as the writer tracing an organic order for them. 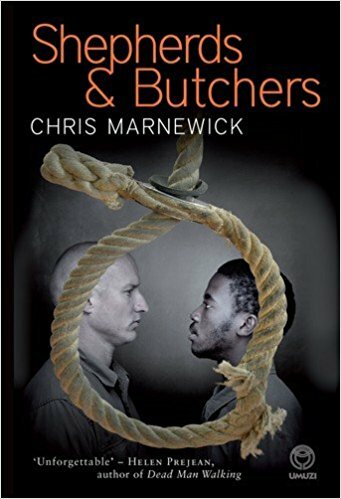 In Marnewick’s Shepherds and Butchers, the author traces the complex issue where the murder suspect is a victim and perpetrator. What stood out about the conversation for me, was the extensive work that the authors did in fashioning their texts to communicate layers of meaning about the justice systems in Kenya and South Africa. With attention to Chris Marnewick’s Shepherds and Butchers, one is left contemplating a question he put to the audience: how does one tell the story of someone who kills people but is a victim himself? 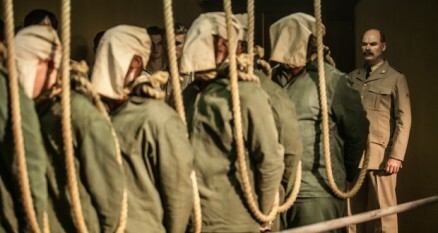 The interest is shifted from the killer then to the interrogation of society which sanctions killing in its name – what is the moral ground of such a society? Of interest in Musila’s A Death Retold in Truth and Rumour was how popular rumours and speculation can perform distinct functions in different circumstances like the case of Julie Ward’s murder. In such a case, do we still trace truth or do we then pursue the presence of truth(s)? Is it possible for fiction to sound more realistic than reality.